The Lanthorn tower was built between 1238 and 1272. It was commissioned by Henry III. It is one of the many towers that were built at that time, towers serving as defense to the white tower that was given a rampart. The Lanthorn Tower served as a royal apartment for the Queen, while the King was at the Wakefield Tower. 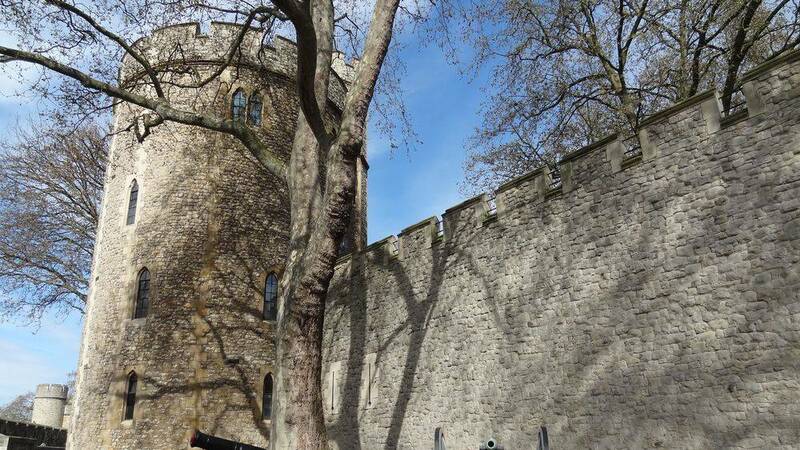 Edward I er chose to live at the St. Thomas tower he had built on purpose. At his death his successors moved to the Lanthorn tower, depriving the Queen of these apartments. This tower is along the inner rampart. It is relatively wide and somewhat higher than the others because, as it is the first downstream of the Thames on the river side, it has been chosen to accommodate a lantern for night navigation. So it has a tower that complements it on the southern part, much smaller and taller tower. And of course it is this lantern that gave its name to the tower. Nowadays the Lanthorn Tower contains a number of objects from the Edward I era. Nowadays, the Lanthorn tower has many tall, narrow windows, but at the time of its construction the openings were much smaller. The round path that passes at the top of the rampart crosses this tower, like most other towers elsewhere. South side, therefore facing the Thames, we see nevertheless two loopholes and no windows, sign that like all the towers it also served as defense. The roof has a crenellated wall for the protection of the soldiers. 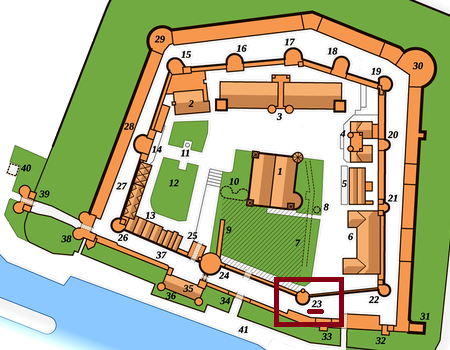 But before having a defensive role, it was intended to ensure the comfort of the king by offering pleasant apartments. She still had cells in the basement. The Lanthorn Tower underwent a fire in 1774, it was largely destroyed. Left to the abandonment of years, it was restored by Anthony Salvin in 1851, an architect of the Victorian period. 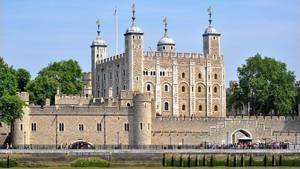 The latter reconstructed it according to a plan recalling the style of the Tower of London, but not in conformity with the original tower. He had the windows restored, the doors and the frames repaired. Likewise, the façade underwent a rejuvenation and he had the defensive elements of the tower rebuilt. He conceived it so as to be able to make it visit, so its interior was adapted at that time. He made a room on the ground floor which is now a shop. He worked on this tower until 1870, when John Taylor took over the restoration.